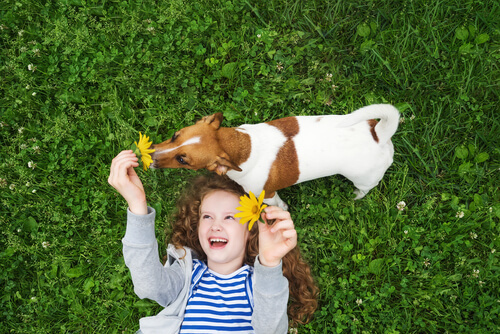 Summer is always an exciting time not just for you but for your four-legged friends. This beautiful season opens a wide range of outdoor activities and fun adventures you can explore together. However, all the amusement can lead to unpleasant consequences if the safety rules arent kept in mind. Your dog is more vulnerable in the summer heat, which is why its your responsibility to ensure their well-being. Overheating is one of the most common dangers your dog can face in the summer. The smaller and the hairier your dog is, the more careful you should be. When indoors, make sure your home is well-ventilated, the AC is on and the water bowl is easily accessible. When youre out, try to walk in the shade and avoid hot sidewalks and sand. Remember, never leave your dog in the car! If the technology fails, a car can get extremely hot in as quickly as 10 minutes. Prolonged overheating may lead your dog to a heat stroke. Watch out for the early symptoms like miscoordination, dry mouth, bluish tongue, frequent breathing, or muscle twitching. Try to get your puppy to a vet as soon as you notice any of these symptoms. If not addressed right away, these symptoms can escalate to high body temperature, nosebleed, vomiting, or even fainting and convulsions. A general advice to avoid a heat stroke is to stay away from direct sunlight as much as possible. Like us humans, dogs need to stay hydrated at all times, especially in the summer. If your dog is hyperactive, they need even more water. Make sure to change the water in a bowl every day and monitor how much your puppy drinks. When youre out, grab a bottle of water for your dog and offer them a drink every half an hour or so, especially after playing or staying under the sun for a while.